Our world has been changing. And for the past five years, we’ve been helping world-class destinations navigate these changes and innovate as the Internet has reshaped the landscape of destination marketing. You may remember us as the people behind Think! Social Media. Maybe you’ve seen or met our team during conferences, after keynote presentations or during a tactical workshop. We’ve worked with incredible destinations to create successful campaigns, consulted on tourism strategies, helped build and nurture your communities and solved the marketing challenges you face in a digital world. 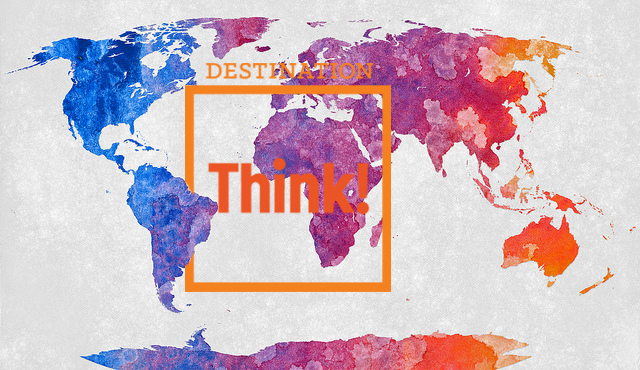 Recently, we rebranded ourselves as Destination Think! in order to truly reflect and recognize the full breadth of our offerings as a strategic consultancy and agency that only works with the leading destinations of the world. We’re also behind the industry-leading conference SoMeT, which now takes place yearly in three international markets, and have released our own proprietary model for destination marketing. Today we have another exciting announcement: this year, we’re expanding our business in our three key markets; North America, Europe and Oceania. As destinations increasingly invest in a new way of doing business, our business strategy is focused on creating a deep relationship with 30 of the most innovative destinations on earth. So we’re actively looking for new destinations that want to join our existing list of remarkable clients. Have a look at who we’re currently working with. If you want to learn more about how we can help you avoid the missteps that Deloitte identified in its report, we’d love to set up a time to talk. Just send an email to Ben@destinationthink.com. We look forward to hearing from you!